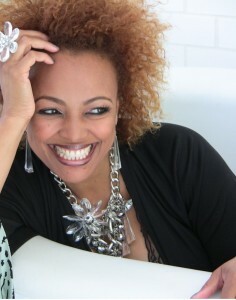 Kim Fields. Photo courtesy of Fields. Actress and award-winning director Kim Fields said she was honored to play an adoption social worker in “What to Expect When You’re Expecting,” which is playing in theaters. 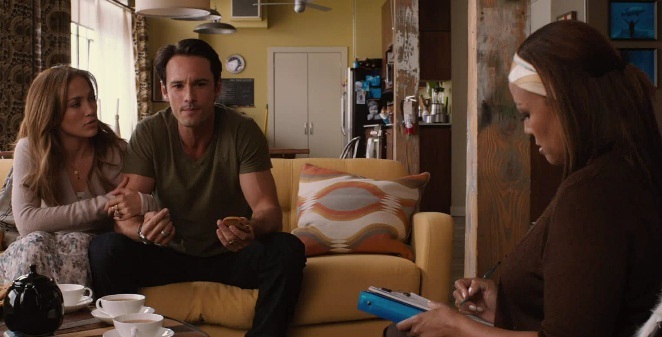 In the film Fields, who is probably best known for playing roller skating busybody “Tootie” on the long-running NBC sitcom “Facts of Life,” helps Holly (actress and singer Jennifer Lopez) and Alex (actor Rodrigo Santoro) adopt a child. The small part has its funny moments but Fields said she also had to convey the seriousness of the social work profession, especially when it comes to connecting parents with adoptive children. “Just because I don’t know any social workers doesn’t mean I didn’t know of the work that social workers do and the enormous amount of pressure and strain they are under to create the perfect scenario of parent and child or parent and children,” Fields said during a telephone interview with SocialWorkersSpeak.org. Fields, who also starred as feisty diva Regine Hunter on Fox’s “Living Single” sitcom in the ’90s and more recently has been lead director for the Tyler Perry series “Meet the Browns” and “House of Payne” on TBS, auditioned for the social worker part. “What to Expect When You Are Expecting,” which also stars Cameron Diaz and Matthew Morrison, was filmed in Atlanta. Fields said she did not have to do much research for the part because the part was written solidly and director Kirk Jones was clear about how he wanted the role portrayed. In the film Fields plays a social worker who helps Holly (actress and singer Jennifer Lopez) and Alex (actor Rodrigo Santoro) adopt a child. Screenshot courtesy of Yahoo! Alice Ghostley (left) portrayed a social worker on the 70s sitcom "Good Times." Left is actress Ja'net DuBois, who was an adoptive mother. Screenshot courtesy of Youtube. Penny was adopted by Willona Woods (Ja’net Dubois). Part of the plot revolved around single and childless Willona convincing a social worker she would be a good mother for Penny. 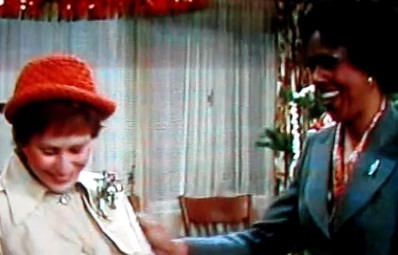 Several child stars Fields worked with, including Todd Bridges and Dana Plato, later led troubled lives. In fact, Plato died from an accidental drug overdose in 1999 at age 34. Fields said she is concerned that although laws to protect child actors have improved some young actors are still exploited. She is also worried that television programming desensitizes children to sexuality and gives them the unrealistic expectation they must be famous to be somebody. Fields, who is married and has a five-year-old son, credits her ability to successfully transition from a child actor to an adult actor and director to her faith in God and being surrounded by positive family members and friends. You can watch a Yahoo! clip of Fields in the Film “What to Expect When You’re Expecting” by clicking here. And to learn more about how social workers are involved in the adoption process visit the National Association of Social Workers’ “Help Starts Here” Adoptions and Foster Care website by clicking here. The public at large has no idea how much they owe the dedicated professional social workers out there in the field responding to child abuse reports 24/7. These brave women (and not enough men except in the executive suite) are literally risking their lives everyday as public service employees — in low paying jobs dangerous jobs — with outmoded equipment. Every day these heroes work jobs in neighborhoods most people would not even drive in.